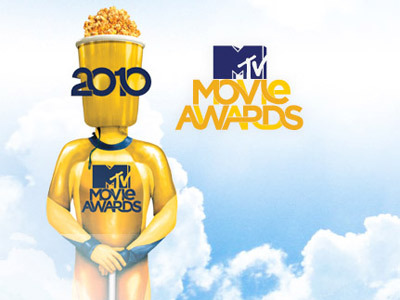 2010 MTV Movie Awards Winners & Recap! Singing her 2005 single “Get Right“, a song that we actually like J-Lo performed an somewhat energetic dance choreography with Tom which was cheered by his actress wife Katie Holmes on the front row. Tom was more than happy when J-Lo spanked him but when he tried do the same thing to her, J-Lo was quick to give a “Hell no” sign. Other performers of the Sunday night were Katy Perry and Christina Aguilera. Katy collaborated with Snoop Dogg, singing “California Gurls“. Meanwhile, Christina took the stage solo, delivering a medley of her “Bionic” songs.